In the business of timekeeping, it is safe to use Rolex and luxury synonymously. There are watches that are beautiful, there are others that are functional but a Rolex packs the best of all worlds – bringing together immaculate craftsmanship, cutting edge technology and awe inspiring design. A Rolex watch isn’t short of an investment with guaranteed return: its value quadruples over time, making it an invaluable heirloom for generations to come. Even in a time and age when some would argue that mechanical watches are rendered obsolete, Rolex watches for men stand out as the king of timekeeping. By setting unmatched quality standards, Rolex watches have established themselves as the cornerstone of luxury, serving as a strong source of inspiration for watchmakers and craftsmen around the globe. The fact that a man still needs a premium mechanical watch in order to feel complete can be attributed to Rolex’ ability to change the way you’re seen when you walk into a room full of strangers. Wearing a Rolex is making a statement – that you value time, and you’re willing to settle for nothing but the best. Finding yourself a watch that best suits your personality can be a task but there are very few things in life that can match the pleasure of selecting, owning and wearing a Rolex. Here’s two cents to make the process more convenient – go for online retailers such as Ethos Watch Boutiques, to browse through the top selection Rolex watches for men with price from the comfort of your home. 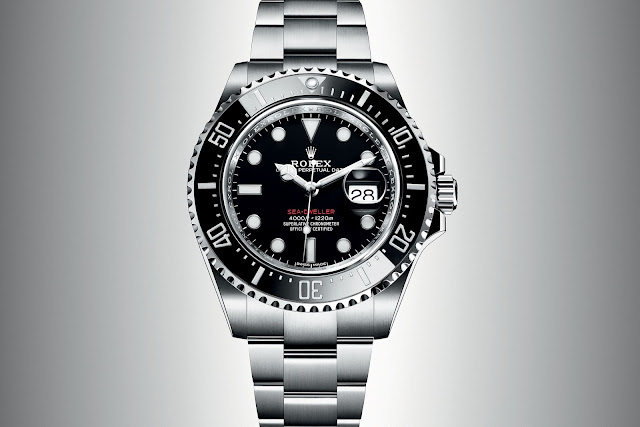 Worn by the likes of popular celebrities such as Tiger Woods, the Oyster Perpetual Sea-Dweller by Rolex is an ultra-resistant divers’ wristwatch, especially designed after years of research and development conducted alongside diving professionals. 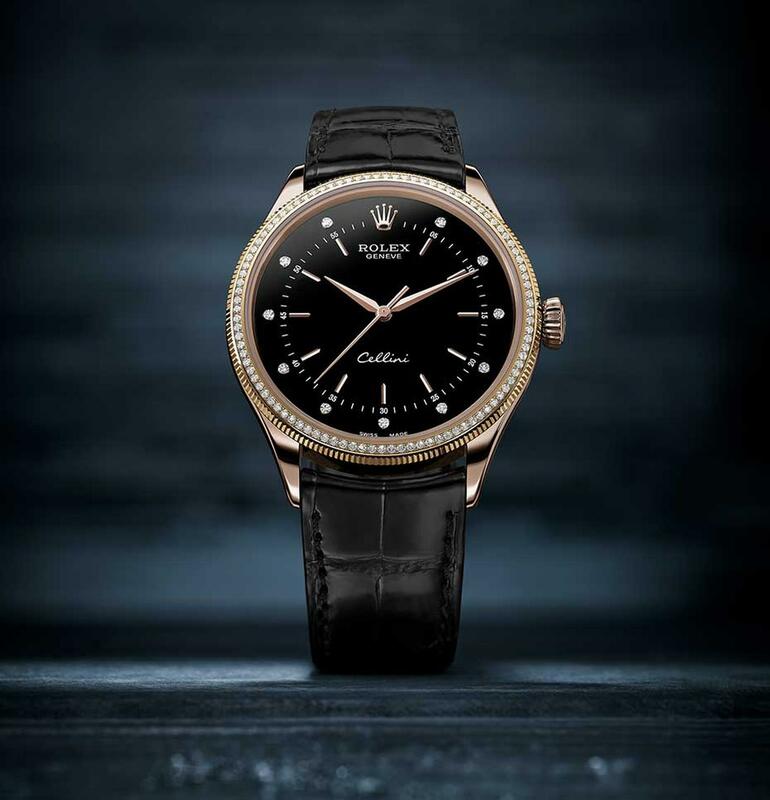 The exquisite timepiece features an easily legible black dial with distinctive hour hands fashioned from 18-carat gold and is waterproof up to an impressive depth of 12,800 feet. Sophisticated, elegant yet bold in its design, the Sea-Dweller is an embodiment of best in class functionality and breathtaking design. Living up to Rolex’ standard of unparalleled mechanical abilities and classic aesthetic appeal, Cellini Time is timeless in its own fashion. The watch case is fashioned from 18 carat Eve-rose gold - created and patented by Rolex in 2005 to capture the perennial essence of its range of pink gold watches. The simplistic dial of the timepiece is an ode to classic aesthetics, strapped in with a stitched alligator leather strap featuring large scales. The watch is an ideal match for the contemporary man with a traditional heart. 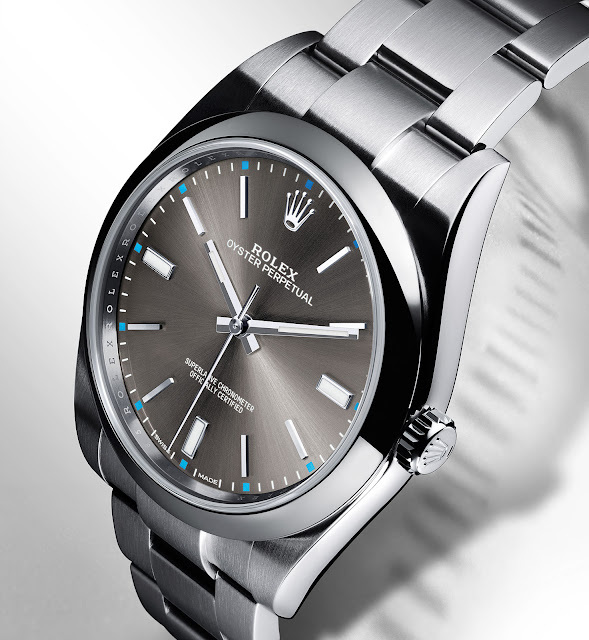 The Oyster Perpetual 39 by Rolex is a top-runner in the list of timepieces that every watch lover can’t get enough of. The sophisticated wristwatch has a universal appeal; gorgeous in its understated simplicity. Using 904L stainless steel, the dark rhodium dial is handcrafted to perfection, faultless in its function and design. The timepiece seamlessly integrates cutting edge technology with modest elegance, creating an ideal match for a man with a refined sense of style. Unique to the Oyster Perpetual collection, the Oyster bracelet fitted with an Oysterclamp, is comfortable yet robust, sending out a strong statement about the bold personality of the man who adorns it. Irrespective of your top choice, you can’t help but agree that Rolex doesn’t just produce great watches; it invokes an unmatched feeling for anyone who wears it. Making the best of classic aesthetics and timeless design, Rolex watches are brought to life with cutting edge technology and modern functionality, hand crafted to perfection. Today, Rolex watches are invariably seen as a symbol of sophistication, class and luxury.